Keep this link on your phone when attending the meet to know exactly who to look for in these talented fields. We will be on site for live updates, interviews, and photo coverage. What a meet, hats off once again NJ T&F! Check out all the champions and vote for who you think was the best of the meet. On Saturday morning Sydney McLaughlin ran 53.34 which broke the state record held by Olivia Baker since 2014 when she ran 53.49 at Nationals. 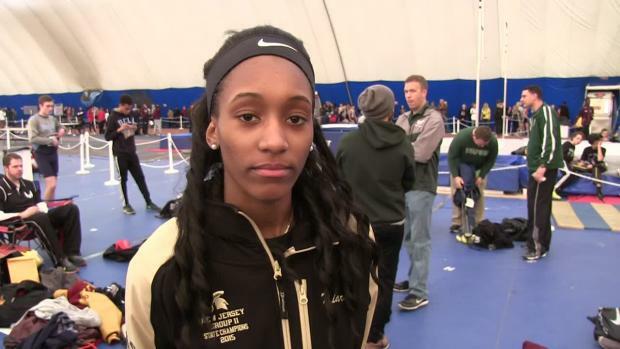 The girls basically re-wrote the state leaderboard with EIGHT NJ#1s!! This is the final showcase list released by the NJSIAA. If you are on this list and will not be racing please contact Bill Bruno at bbruno@njsiaa.org ASAP. We took all the non-graduating girls and listed them in this returners article. We took each non-graduated athlete from the Meet of Champions and put them together here. 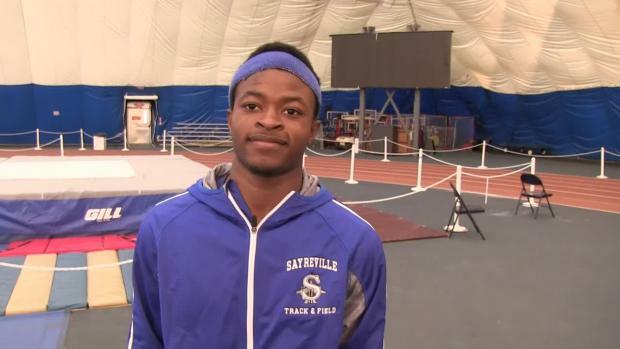 The top 100 performances in each state meet event during the Meet of Champions time at the Toms River Bennett Complex "Bubble". Here are the top 500 times at Holmdel Park so far this season. 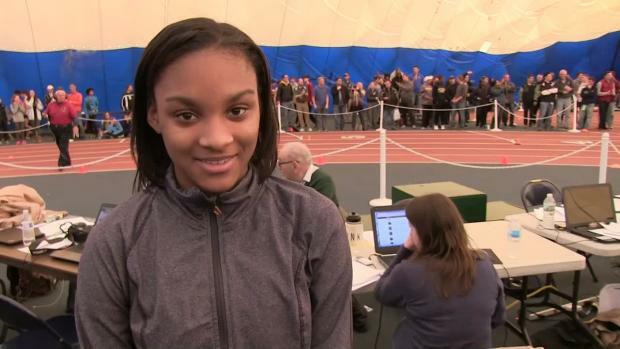 The top 100 performances in each state meet during the Meet of Champions time at the Bubble! Since 2007! 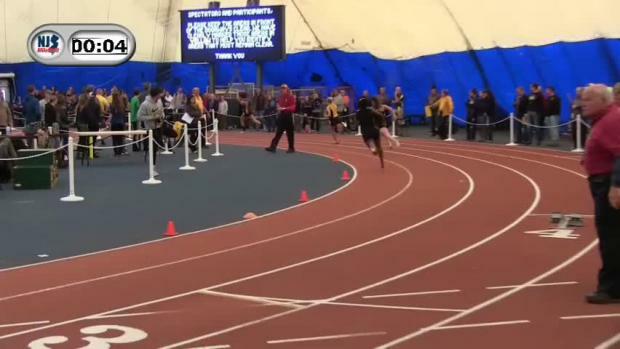 On Saturday Mike Zupko improved upon his own NJ#1 time by winning the NJSIAA Meet of Champions with a time of 49.35. 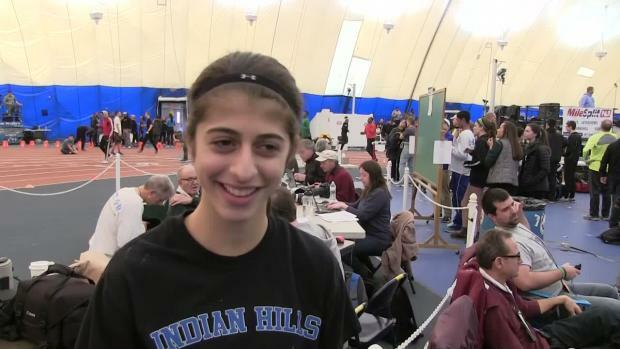 Watch our post race interview with Julia Guerra as she speaks about her victory in the Meet of Champions 3200 meter race last weekend. A photo album mainly consisting of shot put but also highlighting some high jump and pole vault! Check the meet page for another album that finishes the boys 3200 meter and 4x400m! 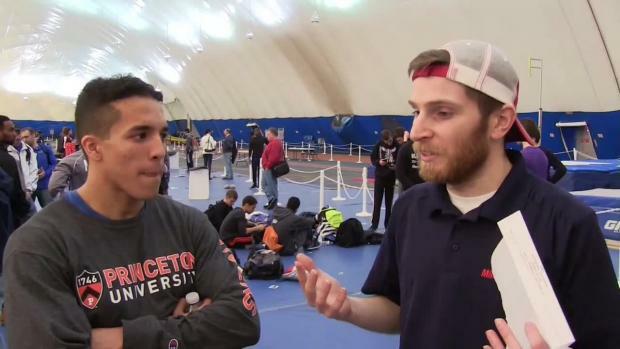 Over 2000 photos from the pole vault and high jump at the Meet of Champions!